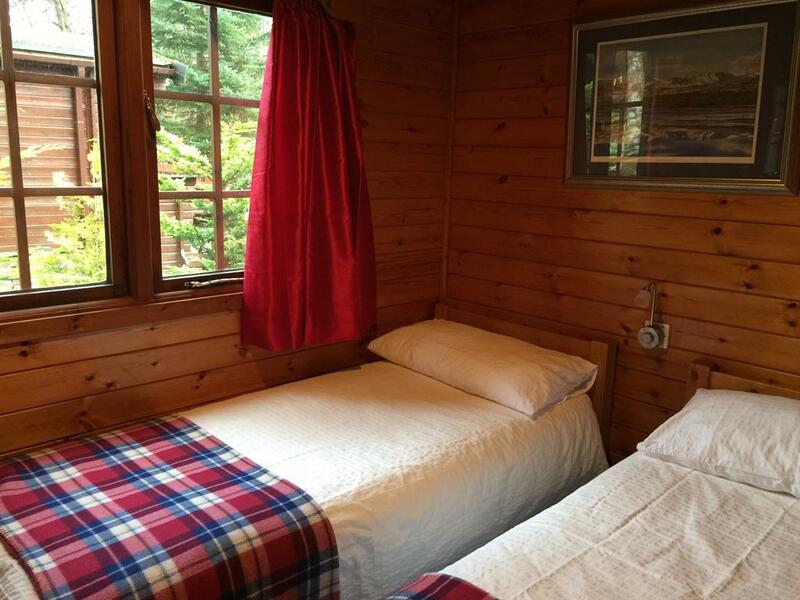 Lurchers Cabin is situated in a small cul-de-sac, only five minutes walk from Aviemore village centre. 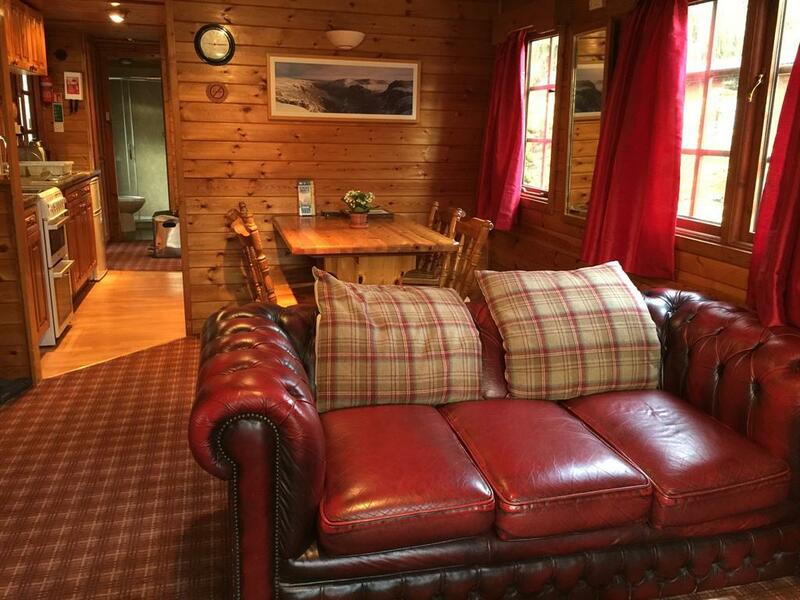 It is ideal for those who wish to spend a holiday in the Cairngorms National Park at a reasonable price. 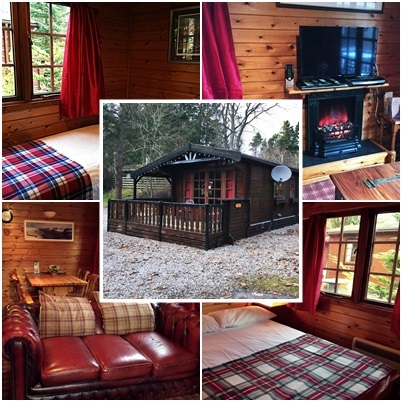 This comfortable two bedroomed log cabin style chalet has recently been upgraded to provide quality self catering accommodation for up to four guests. 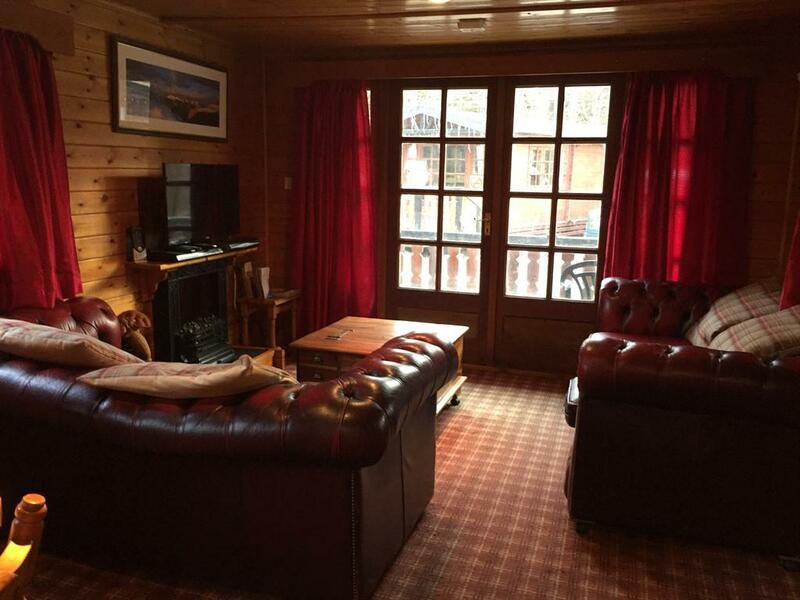 Aviemore is well known as a visitor resort with year round outdoor activities. There has been considerable investment in the area recently including a new leisure and conference facility and a new championship golf course. The village itself is also currently undergoing a major transformation with a new square and transport interchange. There are many visitor attractions in the surrounding area for all ages and abilities. 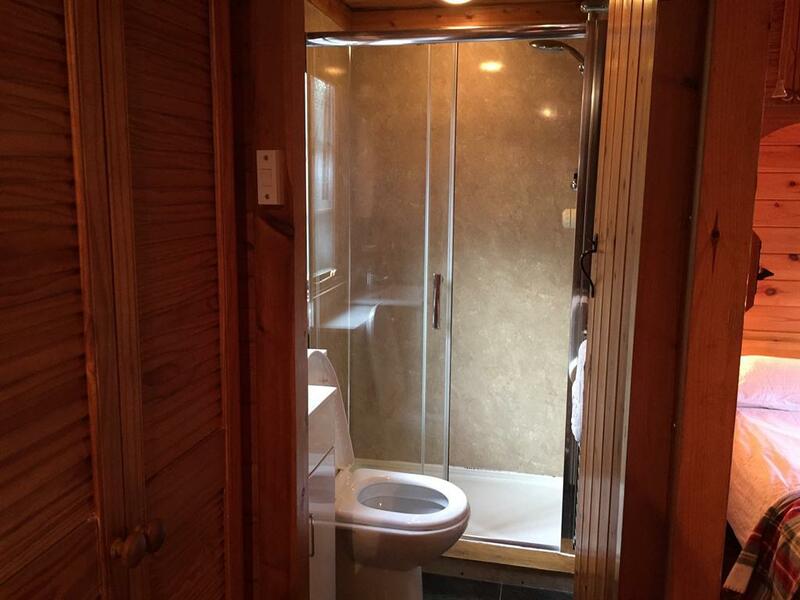 As the cabin is actually in the village it is particularly suitable for visitors who are coming by public transport. The mainline railway station and coach stop are just a few minutes walk away. There are excellent local bus links and bike hire nearby. Linen and towels provided. Electricity and gas included in the rental price. 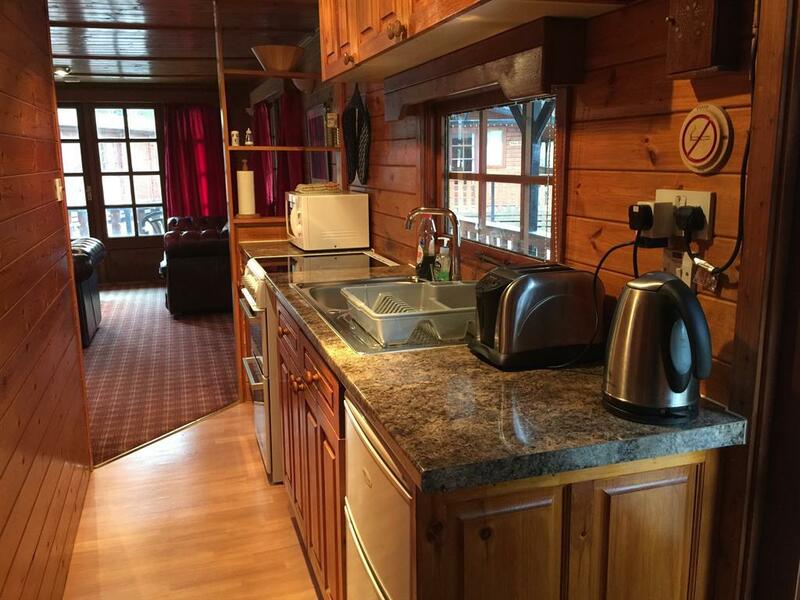 Parking for two cars Storage shed for skis, golf clubs, fishing rods etc Private garden and picnic area with barbeque Covered veranda with outdoor seating area and storage for outdoor jackets and boots Sky TV, video, DVD player. To comply with standards we do not permit pets in the cabin, and for the comfort of guests we operate a no smoking policy. Smoking is permitted on the covered veranda.